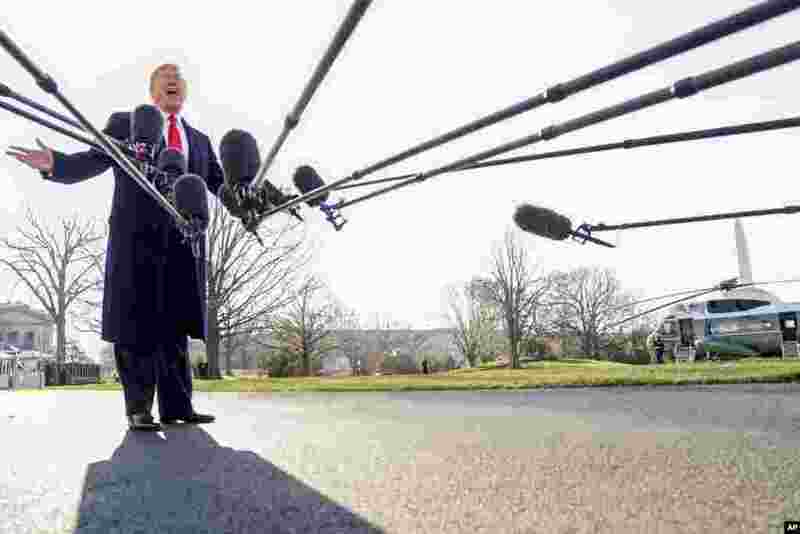 5 President Donald Trump speaks to reporters before boarding Marine One on the South Lawn of the White House in Washington to travel to Andrews Air Force Base, Maryland, and then on to California. 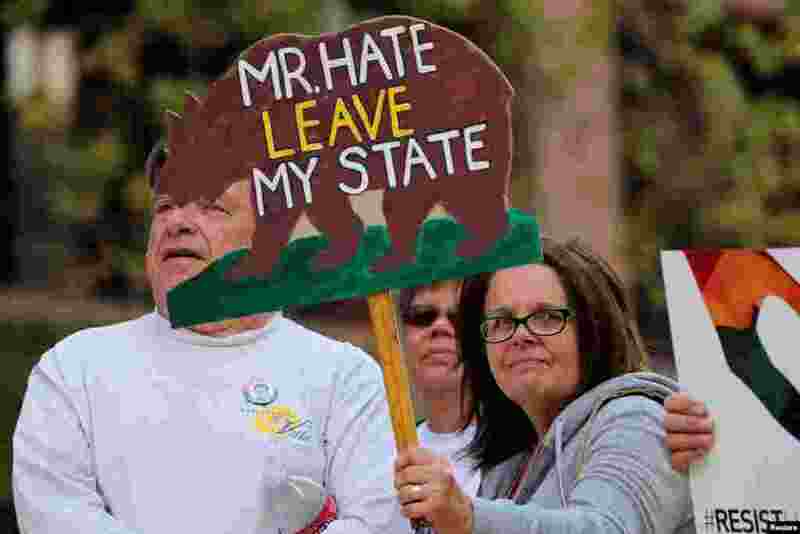 6 Activists and community groups hold a rally to protest the upcoming visit of U.S. President Donald Trump to California, March 12, 2018. Trump visits to view border wall prototypes in San Diego on March 13. 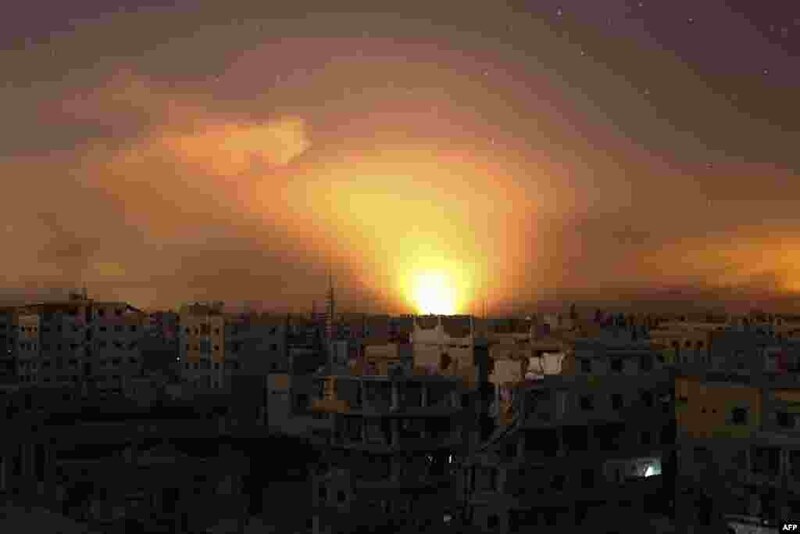 7 Explosions light the sky following government airstrikes on Arbin, in the rebel enclave of Eastern Ghouta on the outskirts of Damascus, Syria, March 12, 2018. 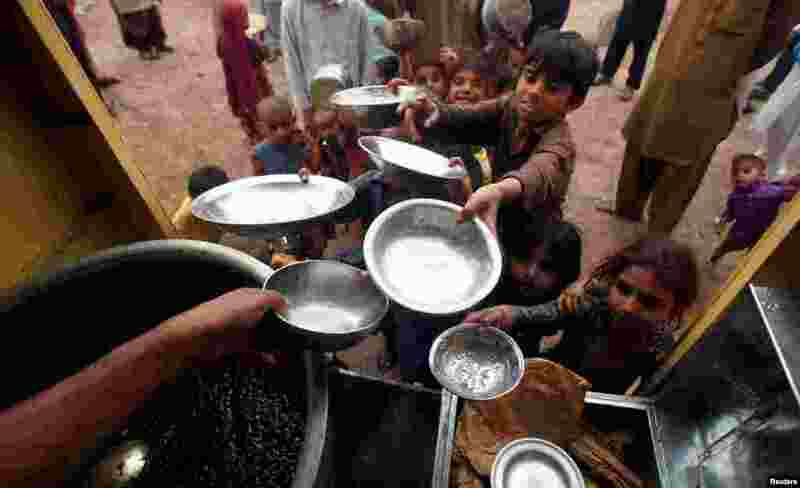 8 Children wait in line for food in Peshawar, Pakistan.